Become certified professional life or business coach in 10 months. Practice your coaching skills with real clients during the course. Please leave your information and our manager will contact you soon. You will practice on clients who really need your coaching. This way you will master your coaching skills faster. We provide all necessary material for our students to start their own professional coaching career. The program is approved by the International Coach Federation (ICF) and European Coach Federation (ECF). This course is online and live. You can study using your computer, ipad or smartphone. Receive an international certificate which will entitle you to practice coaching all over the world. Our graduates show excellent results as coaches and improve quality of their lives as well. Receive access to our coaching community on Facebook and participate in Coaching Club meetings to continue your professional growth. Become a professional coach in 10 months even if you are stating from scratch. By the end of the course you will become a certificated expert and work as a coach all over the world. Take your knowledge and skills to the next level. Take a step toward becoming certified at International Coach Federation. You are a business coach that works with teams. Mastering coaching skills will improve efficiency of you work with teams. Interact with your employees at a new level. Implement coaching in your management style. Add coaching to your set of staff development methods. Coaching is widely used in such Forbes 500 corporations as Apple, Volkswagen, Gillette, Sony, Google, Rolls Royce and many others. You want to improve quality of your life. By using coaching techniques you will improve different aspects of your personal and business life. The main goal of this training program is to get our graduates ready for professional coaching practice. A full set of cutting-edge coaching methods sufficient to start professional practice after graduation. Students master their coaching skills by practicing on real clients. The course is well structured. Our graduates find our program to be logical and easy to understand. Our coach training program has unique set of coaching tool that you won’t be able to learn anywhere else. The course lasts 10 months. This lets our student to dive deep into coaching practice and to reach high levels of mastery. Effective coaches never stop learning. Studying with us will be a serious breakthrough on the path of your personal development. Become a coach. Please, fill in this application form and our manager will contact you and will answer all your questions. Founder of MAXIMUM International Coaching Academy. Executive coach. 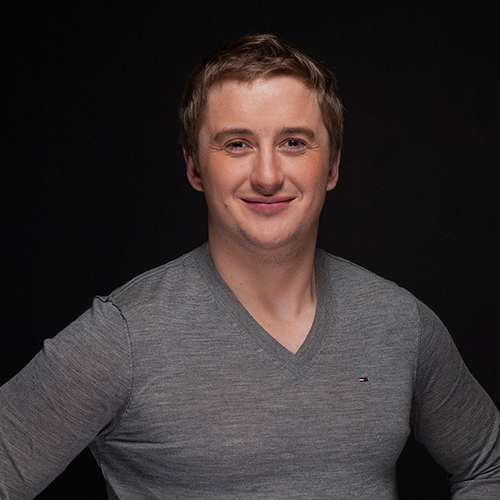 Maxim’s specialty is coaching of business owners and CEOs. Certified coach and mentor. 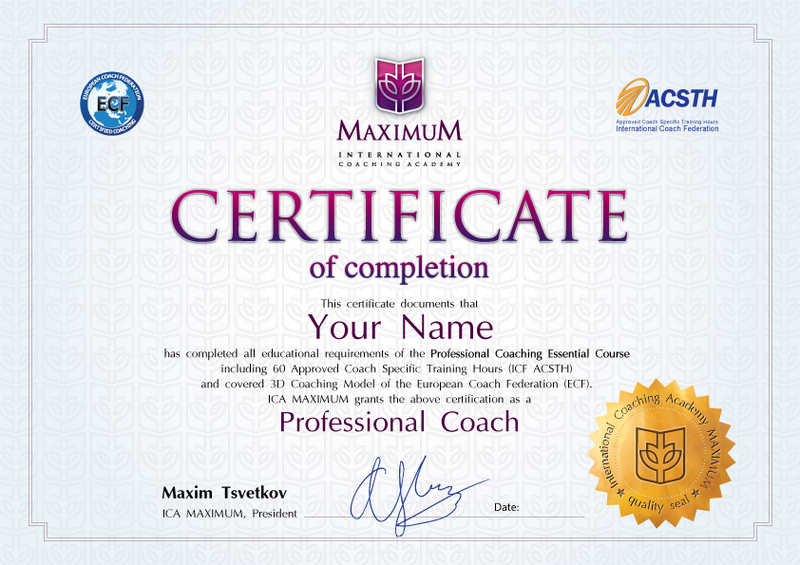 Maxim is certificated at CoachU (USA) and European Coach Federation. 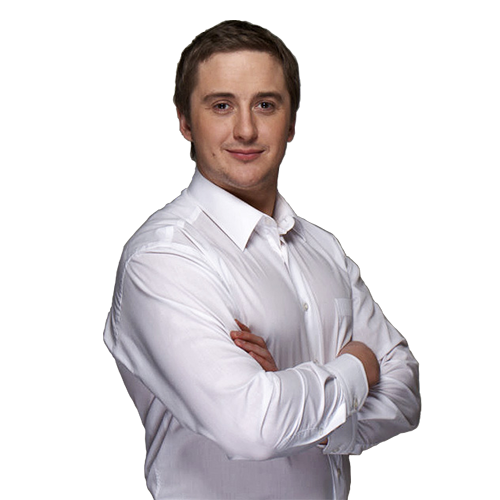 Maxim has been coaching since 2003 and has created a exclusive set of coaching tools and methods. Experienced coach. He has accumulated over 3 500 hours of coaching experience. Experienced coach trainer. Maxim has over 3000 hours of coach training experience. You will find your own answers to these questions by practicing coaching during the course. Therefore, not only will you master a new profession but you will also grow as a person! Learn and practice using 30+ high-efficiency coaching tools. Start your professional coaching practice. Learn to think as a coach. Learn to act as a coach and apply coaching tools as a pro. Achieve your own goals during the course. Increase the level of inspiration and self-esteem. Understand yourself better, your values, your life’s priorities. Create your own personal development program. Find your own answers to main coaching questions: Who am I? What do I want? How can I reach it? Who would you rather trust to be your coach? We take responsibility for our every graduate. This is why at the final module of this course our students complete tests and practical exams. Those who complete all 10 modules and final exams successfully become certified. Pass the final test. By the end of the course you will take a test. Score over 80% and you path. Show your competence. Demonstrate how you have mastered the course material in the final coaching session. Score over 80% and you path. Practice coaching for 40 hours. Provide the information that you have accumulated 40 coaching hours with third party clients. Recieve a certificate. After all information is checked, you will recieve a certificate. Congratulations! You are a coach! You can choose a convenient payment option: full price or instalments. You pay less with one payment. If you realize at some point that coaching is not something you want to do, we will refund your payment. During first two months of the course we will pay your money back, excluding the cost of the course part you have completed. If you want to inspire and to evoke people’s inner resources, you have to become a coach! Fill in the application form. Our manager will contact you and answer all your questions. The course was crafted and conducted in a very professional manner. The material is easy to understand. Practice with peers during the course let me perfect my coaching skills and grow as professional. I also lost my fear to coach and became more confident. Online format is very convenient without having to take a break from my main activity. Moreover the quality of material is very high. I believe this is the result of Maxim’s love for coaching, of his professionalism. His teaching manner is very understandable. The variety of coaching methods is wide and practice is highly effective. Maxim creates very warm and friendly environment in the class. The course was interesting and informative. I’ve learned coaching essentials. Online training is very convenient — webinars in the evening are perfect for working family people like me. The information is useful. Having classes one a week let me learn the material in parts which is also very convenient. The group was not large — which is good. For me «Professional coaching. Essential course.» combines theory and practice perfectly. Especially I would like to note the well-chosen distribution of the load in time, which makes it possible to really acquire the knowledge, test them in practice, comprehend and obtain your own results from coaching. I’m a practicing psychologist. I tried to coach before training in MAXIMUM. I also read several books about coaching. The results were there, but I realized that my practical knowledge and understanding of the profession was clearly not enough. That’s why I started looking for training, and I wanted on-line training. Having thoughtfully studied a large number of proposals, I settled on MAXIMUM. I liked everything — the principles of training, format, duration, the fact that the program is certified by international specialists, reasonable cost of the course. After watching several video sessions with the company’s head Maxim Tsvetkov, I was finally confirmed in my choice. I really liked the manner of presentation of the material, informative and general style of conducting classes. Having passed the course, I can say that my expectations were met by 110% 🙂 Professionalism in everything — from the presentation of material and the quality of the knowledge to communication with the administrator and help in resolving the issues I had. It was real quality training, which allowed me to start working in the profession safely. You study online via computer, ipad or smartphone. Trainer appoints a study day. One class lasts for 90 minutes. You study “on air” but with live participation. If you missed a class, you can watch a recorded video of it. You ask teacher questions and brainstorm in a group. You watch slide shows, videos and other sources and applications of a presentation. You get homework and you do it. You study for 10 months, totally 60 hours. Module 1. Introduction to coaching. 1.2. MAXIMUM coaching skills matrix. 1.9. The role of a coach in coaching process. 1.10. The role of a client in coaching process. 1.12. The structure of a coaching session. Module 2. ICF Core Competencies and code of ethics. 2.2. Code of Ethics ICF. 2.3. MAXIMUM Rugby Ball coaching tool. 2.4. «Are you ready for coaching?» test. 3.3. Building trust with client. 3.6. SCORE. Problem solving method. 3.7. Creating inspiring vision with the client. 4.1. Powerful questioning in coaching. 4.3. What makes questions powerful in coaching? 4.4. Logic behind questions in coaching. 4.6. Wheel of Values Balance. Setting values-based goals. 4.7. «Pluses and minuses» decision making technique. 5.1. Direct communication in coaching. 5.3. Functions of direct communication. 5.4. Types of messages used in coaching. 5.5. GoMAD Model. Developing personal effectivenes with the client. 6.1. Live practice with real clients. 6.3. Feedback from class mentor and peers. Module 7. Life Coaching Techniques. 7.1. GoMAD Model. In-depth review. 7.2. Socrates’ Model. Personal responsibility development. 7.3. Personal SWOT analysis. How to improve client’s self-esteem. 7.4. Using formulas in coaching. 7.7. MAXIMUM Energy. Personal energy managment tool. 7.9. ProfiMoney. Personal finances management tool. 7.10. 360° Goals MAXIMUM tool. 7.12. Developing constructive thinking with the client. Module 8. Business Coaching Techniques. 8.1. Descartes coordinate system. «Yes or No» decision-making. 8.2. MAXIMUM Criteria Analysis. Choosing between several options decision-making. 8.3. Bridge MAXIMUM. Creating effective business strategy. 8.4. Time management in coaching. 8.8. Starting New Business Program. Module 9. Building Coaching Practice. 9.7. Controversial issues in coaching. 9.9. First two years in coaching. 9.10. Defining value of oaching. 9.11. Defining your perfect client. 9.12. Using social media for coaches. 9.13. Building you internet site. 9.14. Sales skills in coaching. Module 10. Final workshop. Certification. 10.1. Live practice with real clients. How much time do I need to devote to this course? The course lasts 10 months. Classes are held once a week, 90 minutes each. Apart from classes you receive homework. You do it with your class peers. Homework usually takes up tp 2 hours a week. What if I miss a class. What should I do? We record every class meeting. All recordings are available 24/7. So if you miss a class or you want to rewatch it, there is no problem with that. How do I practice coaching? At first, you practice with your class peers, i.e. you coach each other. After sixth months we provide you with free coaching clients so that you can master your skills. Do I recieve a discount only if I make a full payment? Not exactly. For instance, if you choose to pay in four parts, the discount is still valid for all four instalments. Do you sign an agreement? Of course, we do. If you need an agreement, we can sign it. It’s alright. Keep practicing till you get enough hours. When you get enough of them, you get a certificate right away. What if I haven’t passed a final exam? You shouldn’t worry. You can get prepared better and take an exam again. Can I trust your program? The quality of all resources and teaching methods were verified by the European Coach Federation (ECF) and the International Coach Federation (ICF). We pursue highest quality standards and foundational aspects of coaching. Can I get certified at the International Coach Federation (ICF) after I complete this course? Yes< you can apply for certification at ICF after you complete this course. Ok, I want to study. Do I need any special preparation? All you need is your desire. No additional preparations needed. Coaching offers the solutions to situations in any life areas. People always have more questions than answers. Master a profession of a coach and help people find their answers!